My husband and I always like to go “big” when it comes to Costumes. 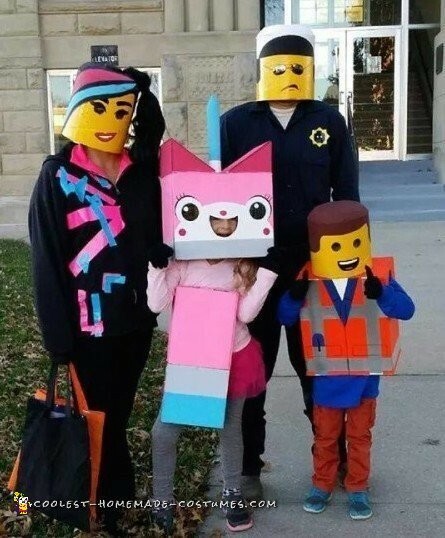 We thought the Lego Movie characters would be pretty cool to do. The supplies we used were newspaper, quick-tube, paint, cardboard boxes, hot glue, wig, duck tape and our own clothes. My husband did the detail work on all the faces. Tons of people commented on how “awesome” we looked. It was our best costumes to date.